WALNUT CREEK, Calif. (KGO) -- Several East Bay cities appear to have won their battle to stop PG&E from cutting down thousands of trees. The utility company says it needs to remove all obstructions to nearly 7,000 miles of gas lines from Bakersfield to Eureka. The city of Walnut Creek is leading the local fight. It may only be a temporary reprieve, but the mayor of Walnut Creek launched a petition drive to stop PG&E from removing trees and it appears for now, PG&E got the message. "It's nice to see that PG&E responded to the public," said Gus Walbolt, a Walnut Creek resident. Walbolt joined the fight to keep PG&E from ripping out hundreds of trees in the town where he's lived for more than 40 years. "It adds a lot to the beauty of the neighborhoods and so many of these have been here for decades." Walnut Creek Mayor Kristina Lawson led the effort by creating a Change.org petition, when she learned what PG&E had in mind for her city -- the removal of 735 trees from public and private property. As part of its $500 million Pipeline Pathways program, PG&E wants to clear obstructions from more than 6,700 miles of pipeline in Northern California. It's a safety project that grew out of San Bruno pipeline disaster in 2010. In some places, the tree removal has already happened. Earlier this month, PG&E took out a line of trees along San Lorenzo's Duck Pond Park. In Concord, the trees next to Len Hester Park would be among more than 700 chopped down in Mayor Tim Grayson's city. "They have said that their project pre-empts all local ordinances, which pretty much puts our trees and especially our heritage trees in danger of their pathway," said Grayson. 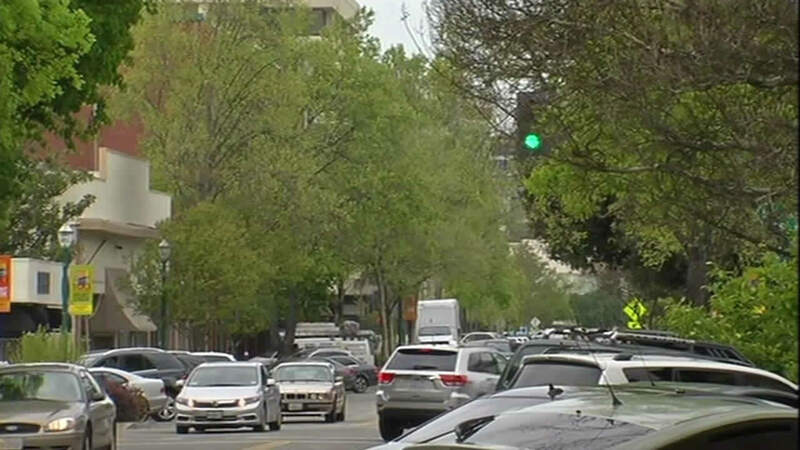 In deciding to halt the program at least temporarily, PG&E spokesman Debbie Felix told ABC7 News, "We share the cities' deep appreciation for trees. They've raised a number of issues and we are listening." Without the community opposition, the tree removal would have started in Walnut Creek in May.